Hey Saints fans! Football season is here! And we have a very special book to celebrate. In this episode of Confetti Park, Alexander Brian McConduit narrates his original story, The Little WHO DAT Who Didn’t, which is all about one little boy’s love/hate relationship with his favorite team. The book takes you through the Saints’ amazing Superbowl season and tries to put into words what THAT season was like through the eyes of Buddy. All of the characters are named after Saints players & figures, pre & post. Follow Buddy, his family, friends & the city of New Orleans as we relive one of the most memorable times the citizens of New Orleans have ever seen. 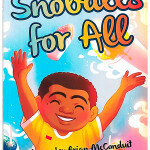 The story is scored with accompaniment by the Confetti Park Players, a kids chorus based in Algiers. Thank you Alex for reading The Little WHO DAT Who Didn’t for Confetti Park! What an emotional rollercoaster that season was—and so is this book! You can buy the book at Amazon.com. 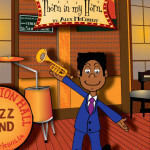 Learn more about Alex and his other children’s books at http://bigbootbooks.com/about/. And check out Alex reading Thorn in My Horn and Snoballs for All for Confetti Park.